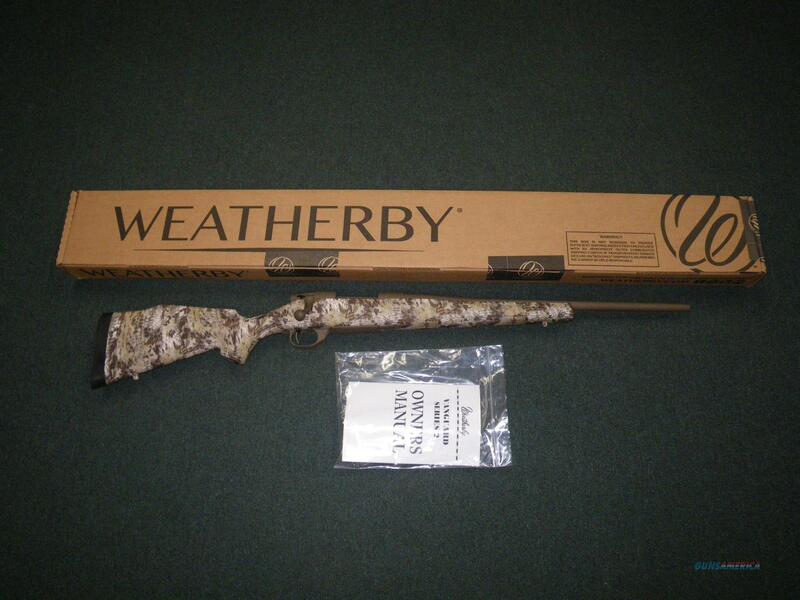 Description: You are bidding on a new Weatherby Vanguard Northeast Carbine in 7mm-08 Remington with a 20" barrel. This rifle comes with a flat dark earth finish on the metal parts and the Kryptex Highlander camo pattern on the stock. The 20" carbine barrel makes this rifle light and maneuverable in tight quarters. Displayed images are stock photos. Any questions please feel free to ask (our phone number is in the additional information tab above).